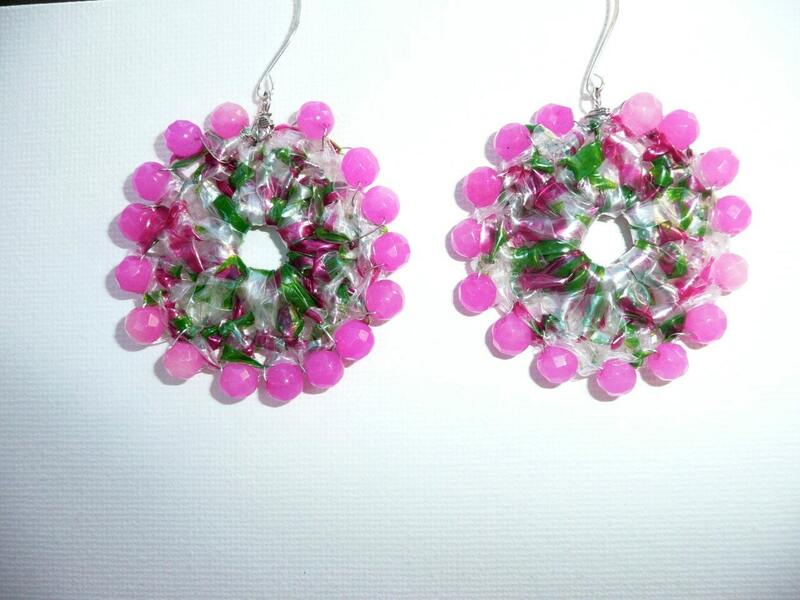 Elche - Unique donut shape earrings made out of a recycled shopping bag, in green and pink, with pink quartz faceted beads. 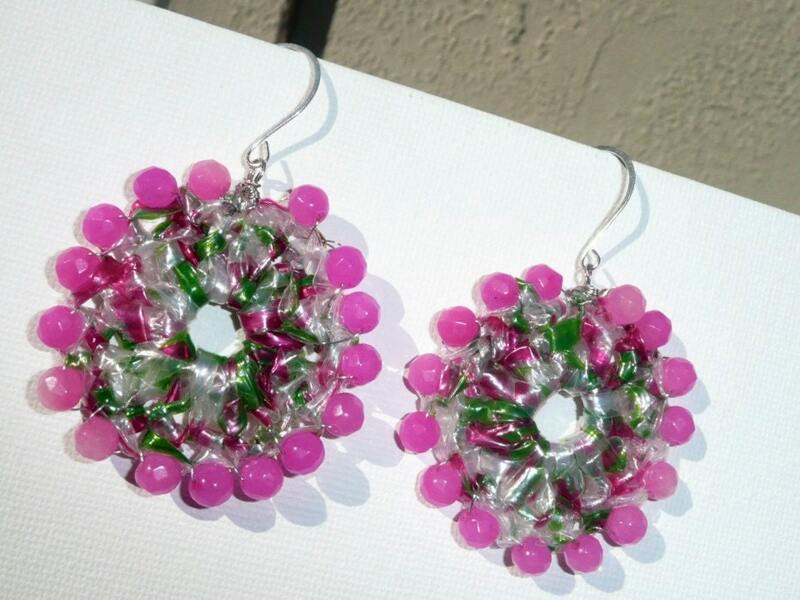 These unique earrings are a perfect accessory to complement either a sporty look or a more formal evening outfit. 3 inches or 7cm. long. Donuts are 2 inches or 4,5cm. diameter.